My Kentucky Oaks/Derby tickets arrived in the mail last week. It’s official, I’m ready to head to Churchill Downs right now. The countdown to the Derby has begun! Making matters even more exciting is the fact that the racing partnership I’m involved with may have a filly running on Oaks day and a colt running on Derby day. 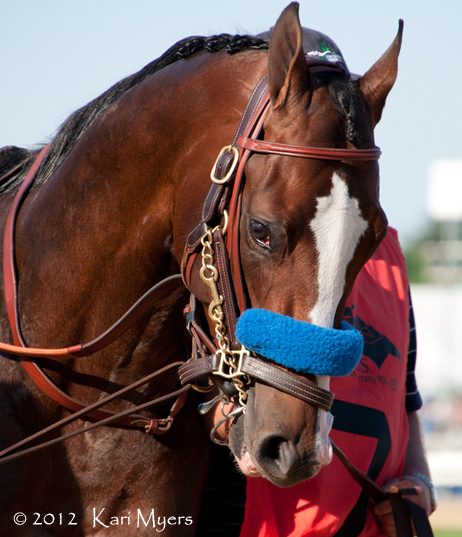 They won’t be participating in any of the stakes, but it’s still an honor to just be a part of such big days of racing. I’ll have more on this later, but I’m really looking forward to all the fun! 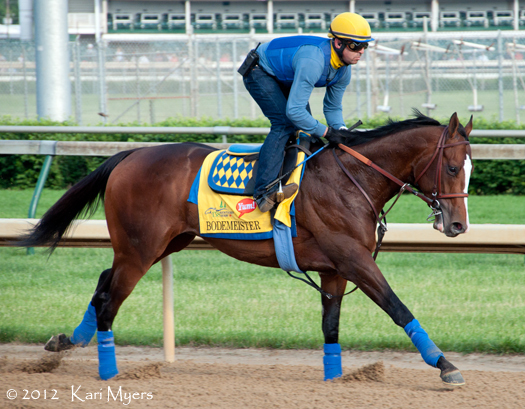 May 3, 2012: Bodemeister gallops a few mornings before his 2nd place finish in the Kentucky Derby.